Jubilate Ringers is our Handbell Choir directed byTessie Smith. Jubilate Ringers practice on Wednesday evenings in the Fellowship Hall at 6:30 pm except for the second Wednesday of the month due to department and board meetings. 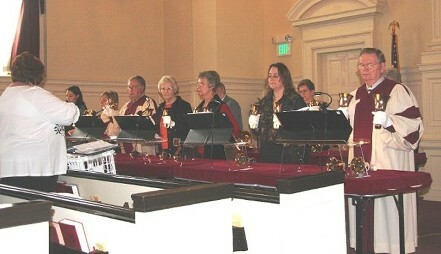 The Handbell Choir is open for youth and adults to share in the ministry of music. 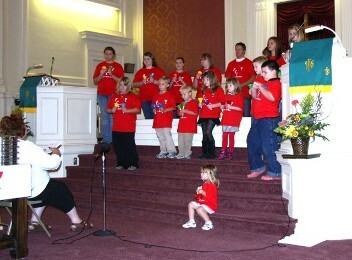 The Youth Bell Choir is directed by Tessie Smith and performs monthly for the congregation and on special occasions.